MAYHEW – East Mississippi Community College’s Manufacturing, Technology & Engineering Division, in partnership with Yokohama Tire Manufacturing Mississippi and the Corporation for National and Community Service, is offering a summer camp for students in middle and high school. 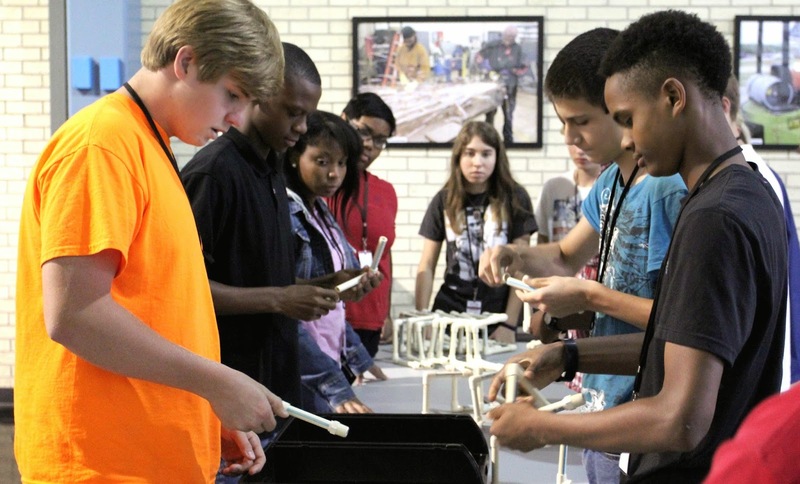 Camp AMP (Advanced Manufacturing Professionals) will be held at EMCC’s Golden Triangle campus. The week-long sessions in June and July will run from 8 a.m. until 2 p.m.
Camp AMP will introduce seventh- through 12-graders to manufacturing methods such as computer-aided design, 3-D printing and rapid prototyping. Students will learn about job opportunities in and around the Golden Triangle and will get a first-hand glimpse at what those jobs look like via tours of local industries. Slots are still available in five of the six Camp AMP sessions. Seventh- and eighth-graders will attend Camp AMP June 1-5 (full) and July 6-10. Ninth- and 10th-graders will attend June 8-12 and July 13-17. 11th- and 12-graders will attend June 15-19 and July 20-24. Only 12 slots are available for each session. Students do not have to live in the EMCC district to attend Camp AMP. The registration deadline for all sessions is May 29. Visit the “Camp AMP” link on the home page at www.eastms.edu to download registration forms and liability waivers. Hard copies of the paperwork can be mailed, delivered or faxed to EMCC. Registration is $25. For more information, call Susan Baird at (662) 243-2686 or email sbaird@eastms.edu. Local students attending last summer’s inaugural Camp AMP work through a hands-on manufacturing challenge at the Center for Manufacturing Technology Excellence.